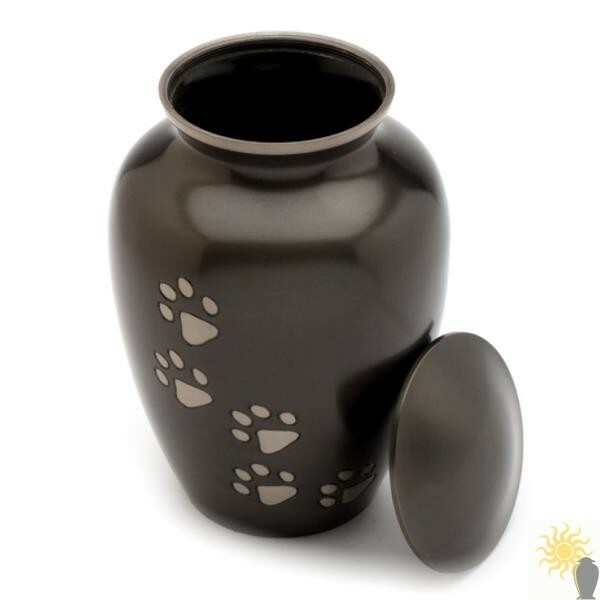 The Matlock Black Pewter No7 is a very high quality solid cast brass pet cremation urn. This pet urn has a black pewter body and lid and is embellished with a pewter paw prints design. 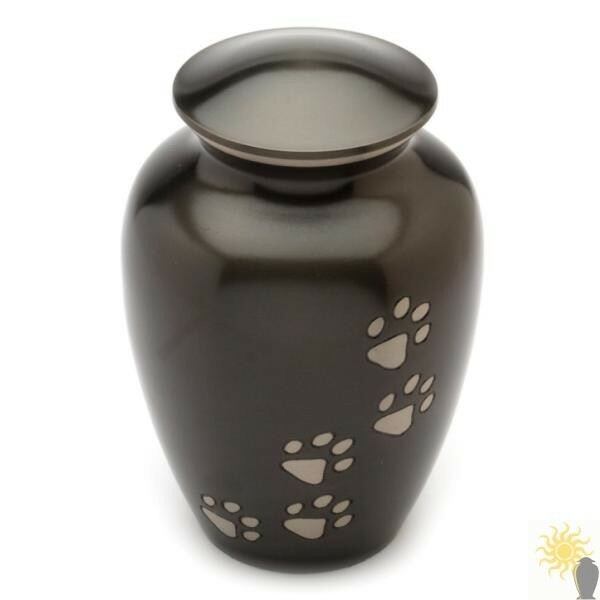 It is suitable for the ashes of a pet equivalent but not limited to a small/medium sized dog. 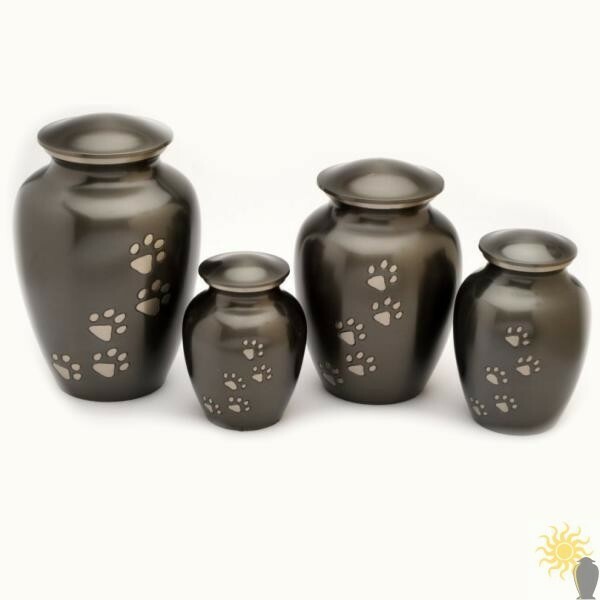 It is also available in a number of different sizes.